When war broke out, Allan was 19 years old and was employed as a Clerk with a company that made railway rolling stock. He didn't join the RAF immediately, maybe because he was too young for conscription (aged 20 and above?) or maybe because working in the railways qualified as a 'reserved occupation'. Either way, Allan didn't join the RAF until the 16th November 1940. 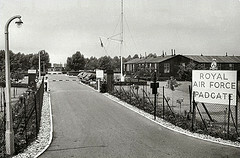 On that day, he reported to "3 RC" (Recruitment Centre) at RAF Padgate, Warrington, to join up. I believe his initial rank was "AC2". On the 2nd December 1940, he was tranferred to "2WG 5 RC" (2nd Wing Recruitment Centre?) at RAF West Kirkby, Liverpool. On the 3rd January 1941, he was transferred to RAF Binbrook near Market Rasen in Lincolnshire. On the 14th April 1941, he was transferred to "6 ITW" (Initial Training Wing) at Aberystwyth, Wales. Here is the 'C' Flight of No. 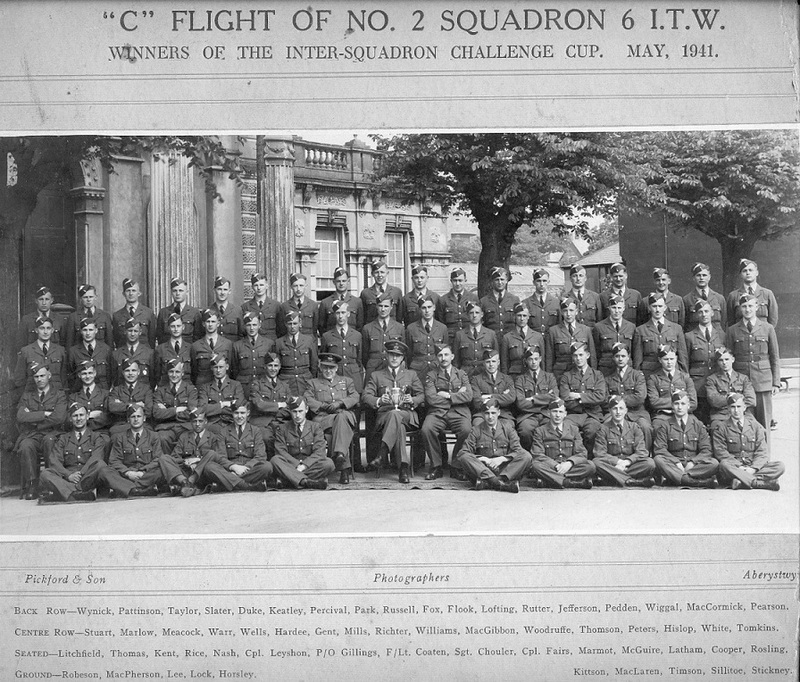 2 Squadron at 6ITW in May 1941. Allan is Centre Row, 7th from the left. In this squadron you will see 4 other airmen who later become close friends to my father when training in the USA: Back Row Far Right is Ron Pearson, Seated Row 5th from left is Peter Nash, Ground Row 4th and 5th from left is George Lock and Dave Horsley. On the 13th June 1941, he was transferred to RAF Wilmslow. On the 14th June 1941, he achieved the rank of "Pilot (II) LAC". (Leading Aircraftman). On the 27th June 1941, he set sail for Canada in the 'HMS Chitral' (a former P&O liner, now a 15,000 ton armed merchant cruiser) from where he was to become part of the famous 'Arnold Scheme', where the Americans would train RAF pilots to fly.